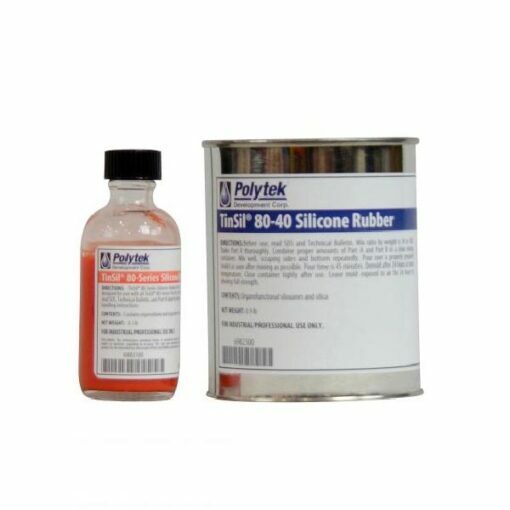 TinSil 8040 Silicone Rubber is a two-part, tin-catalyzed, liquid silicone system that cures (RTV) to a peach, Shore A40 rubber. This is a pourable rubber, but it can be easily thickened with TinThix Liquid Thickener or Fumed Silica for brush-on application. TinSil 8015 Silicone Rubber is a two-part, tin-catalyzed, liquid silicone system that cures (RTV) to a peach, Shore A15 rubber. This is a pourable rubber, but it can be easily thickened with TinThix Liquid Thickener or Fumed Silica for brush-on application. 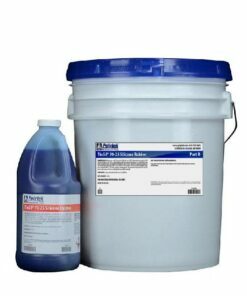 TinSil 7025 Silicone Rubber is a two-part, tin-catalyzed, liquid silicone system that cures (RTV) to a blue, Shore A25 rubber. This is a pourable rubber, but it can be easily thickened with TinThix Liquid Thickener or Fumed Silica for brush-on application. 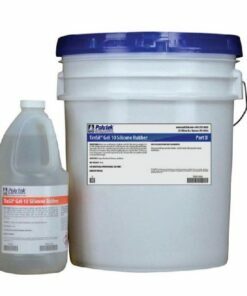 TinSil 8030 is a 1A:10B mix ratio, tin-cured silicone with a mid-range hardness and a tough, snappy, high-tear cure. Moulds made from TinSil 8030 are often used for casting polyurethane, epoxy and polyester resin, as well as foam, wax, soap, plaster, and more. 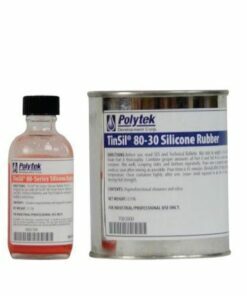 TinSil Gel 10 is a soft, Shore A10, 1A:10B mix, tin-cured silicone rubber. 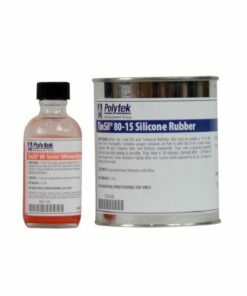 It is one of the softest options in the entire tin silicone rubber line and is best for delicate castings and applications. This translucent rubber is especially useful for animatronics and special effects.